Let in the sun, keep out the wind! 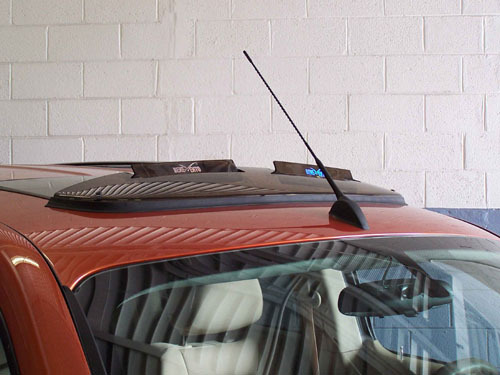 This quality wind deflector is manufactured from smoked acrylic Lucite and installs easily with the supplied stainless steel clips, and requires no drilling or adhesives. This deflector is solid with deflector flaps. It comes with all the necessary hardware and complete instructions, and it carries a three year warranty and takes about ten minutes to install.